From camping trips to BBQs and those hot days at the water park, summer is all about being outside. However for those who suffer from allergies, the outdoors might not be your friend. Many of us look to summer for relief from seasonal allergies, but this year allergy sufferers aren’t receiving their usual break. While pollen, mold, and insect stings are the most common causes of allergy symptoms in the summer, it’s important to keep in mind fresh produce and even grass can also have some less than pleasant effects. This summer has seen unusually high pollen counts which along with other allergies can cause watery or itchy eyes, sneezing, runny nose, nasal congestion and coughing. If you suffer from seasonal allergies, managing your symptoms can help you live more comfortably. This one seems like a no brainer; if you suffer from allergies try to stay indoors when pollen counts are the highest. This is often in the early morning. Keep your windows closed, avoid drying clothes outside as pollen and mold spores can stick to clothing and try using a pollen mask if you have grass to mow. When you are outside consider avoiding perfumes and heavily scented bath products which can attract bees, wasps and yellow jackets. Avoiding your triggers can help, but it can also be limiting to activities and sometimes unrealistic. Over the counter treatments like nasal sprays and antihistamines can help you treat the symptoms you experience after being exposed to an allergen. If you are an asthma sufferer, have found that over the counter antihistamines don’t improve symptoms or you aren’t sure what’s causing an allergic reaction it’s time to visit your health care provider at Rodgers Health. 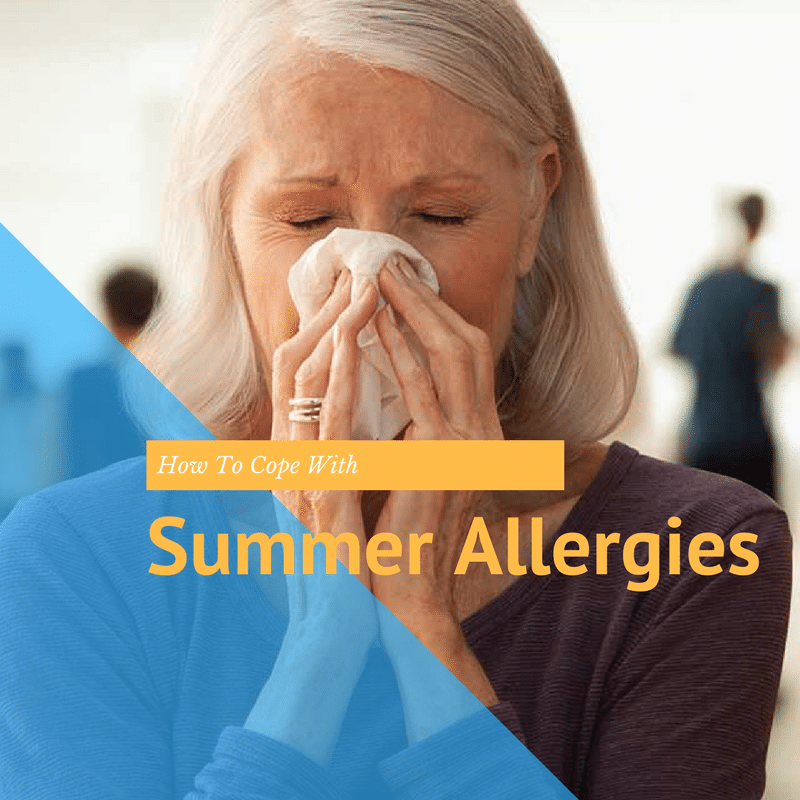 Summer allergy symptoms can easily be mistaken for colds or food intolerances but when your symptoms are persistent and last for more than two weeks it’s time for proper testing, diagnosis and treatment. Additionally, those with severe reactions to an allergen may need to carry some form of treatment with them. Those with an insect allergy need to carry an epinephrine injector. Doctors can also work with you to create a treatment plan that includes immunotherapy, or allergy shots to help reduce your sensitivity to certain allergens. stay up-to-date on everything happening at rodgers health!